The RHEA (Realistic Human Ergonomic Analysis) development tool, was conceived by EADS Innovation Works – the research and technology organization at EADS. RHEA results from more than a decade of EADS work in creating virtual 3D environments that enable engineers to interact with computer-generated mock-ups, which are increasingly used in the aerospace sector. 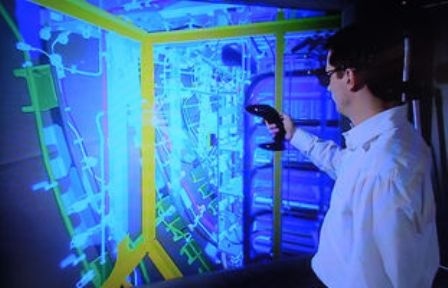 RHEA enables operators to “enter” and interact with a full-scale 3D digital model by wearing special goggles, helmet-mounted displays, or even as an avatar artificial figure with human dimensions. Following the successful introduction of RHEA at the Eurocopter helicopter business unit of EADS, this software was put into service by Airbus in supporting the A350 XWB’s design and development at French plants in Toulouse and St. Nazaire, as well as Hamburg, Germany. Hi! I enjoy reading your blog every day! Thank you for keeping us updated! Looking forward to the first flight!